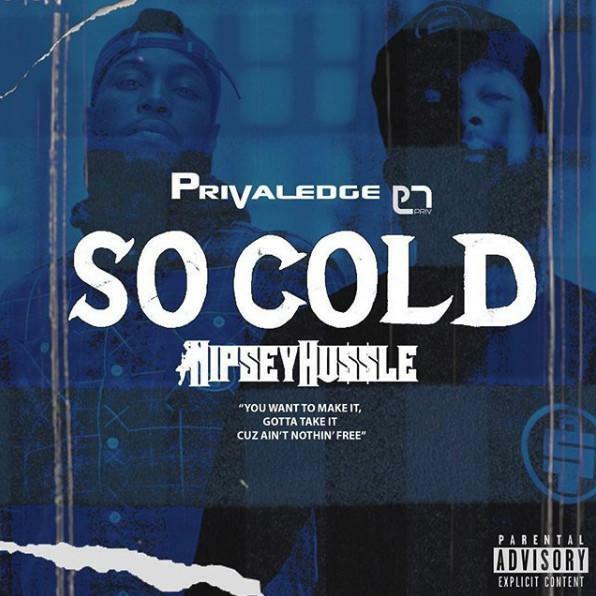 Home>New Songs>Privaledge Songs> Privaledge Drops Unreleased Nipsey Hussle Collab "So Cold"
Privaledge is only a few weeks removed from the release of his last project, Reality, but he's returned with some new music in honor of Nipsey Hussle. The rapper released his song, "So Cold" which features an unreleased verse from Nipsey. The two rappers hop on production from Laze and Gil Levy who deliver a cold piano progression with some hard-hitting drums. Nipsey drops off some gems, as per usual, in the first verse before handing it off to Privaledge to handle the rest. The two recruit Nathan Sela who handles hook duties. "you a legend bro we gon make sure to keep ya name and dream alive FOREVER!" Privaledge said about the release of the song on his Instagram page. Peep "So Cold" below and read our tribute to Nipsey Hussle right here. next song in today list What Happened To The Streets? SONGS Privaledge Drops Unreleased Nipsey Hussle Collab "So Cold"